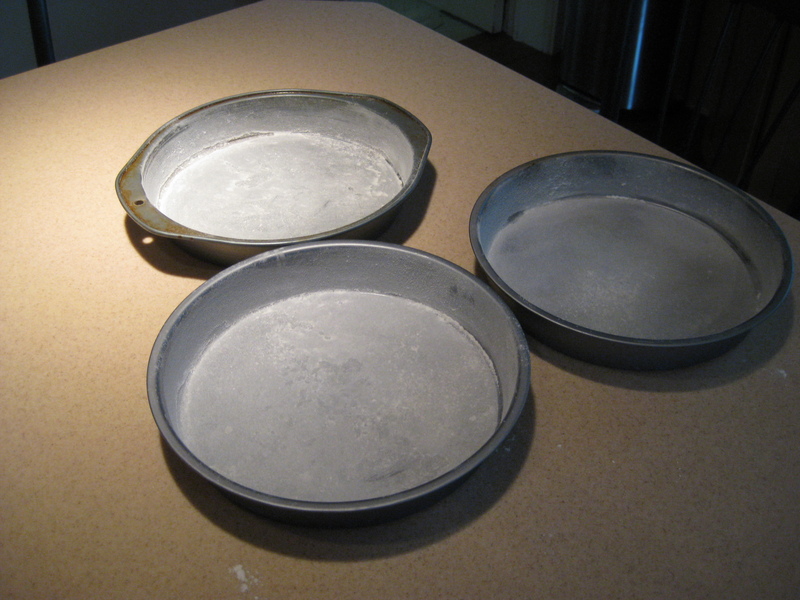 The batter gets divided between three pans and placed in a 350° oven for about 20 minutes. I rotated them halfway through so they would cook evenly. 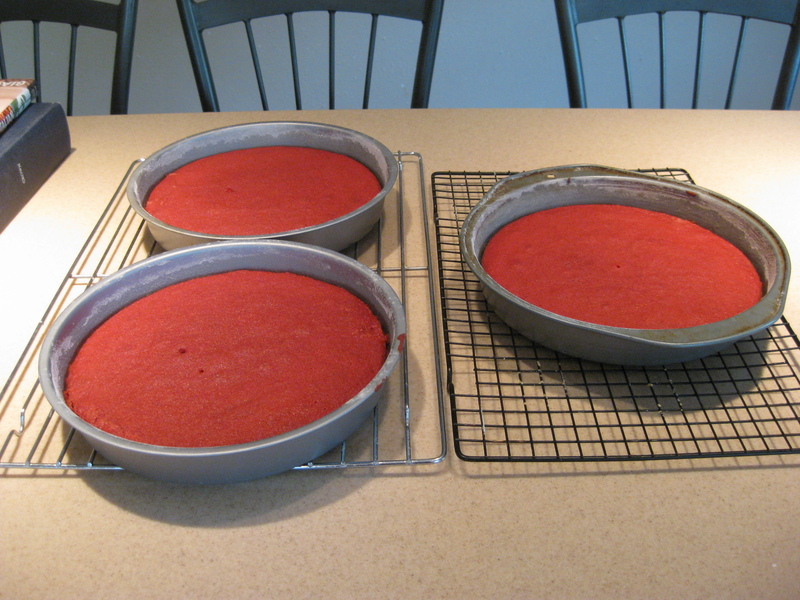 Let the cakes cool completely before frosting. 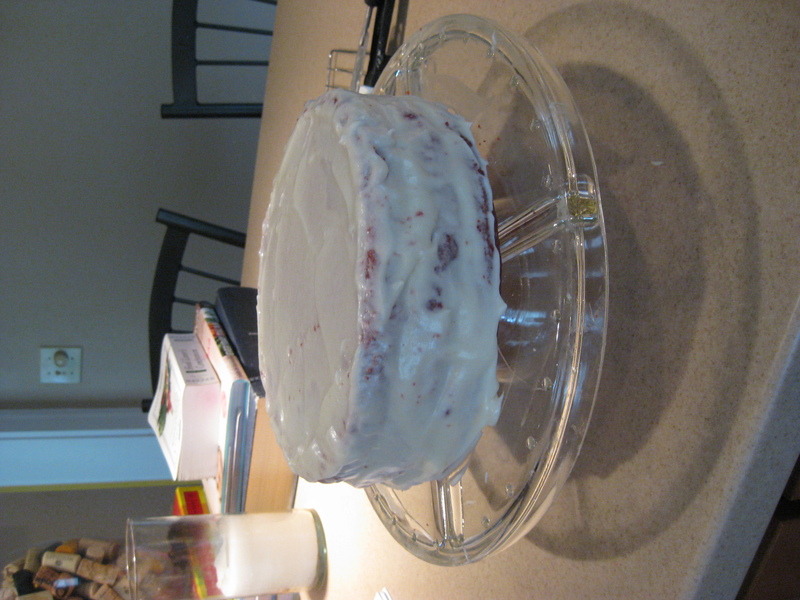 I also put the cakes into the freezer for about 10 minutes before frosting. 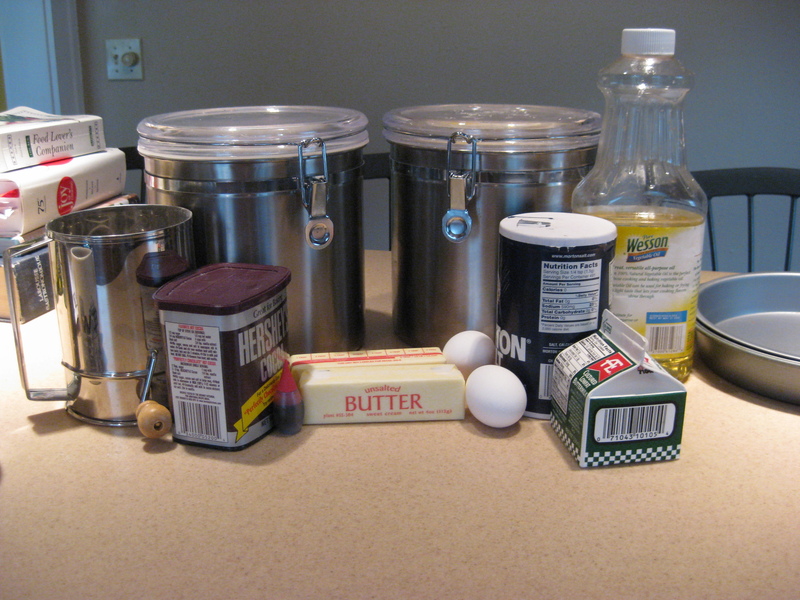 This helps keep the crumbs stick to the cake rather than get mixed into the frosting. And because I need help because I’m terrible at frosting. 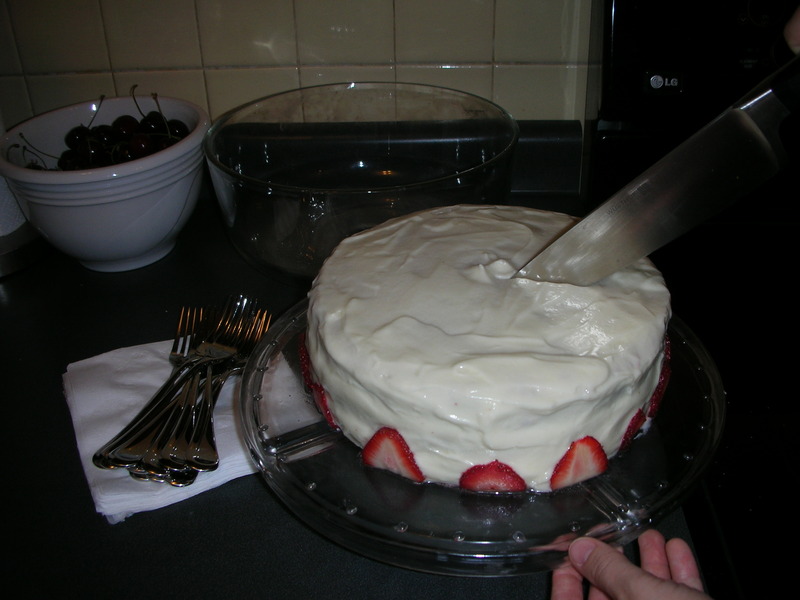 I did two layers of frosting and garnished with sliced strawberries. Cake. Post candle and singing! The cake was moist and just had a hint of chocolate. Plus, it made the birthday girl happy which is totally worth having weird red food coloring splotches on my hands. Also, the work of making three layers was totally worth it. Look!! 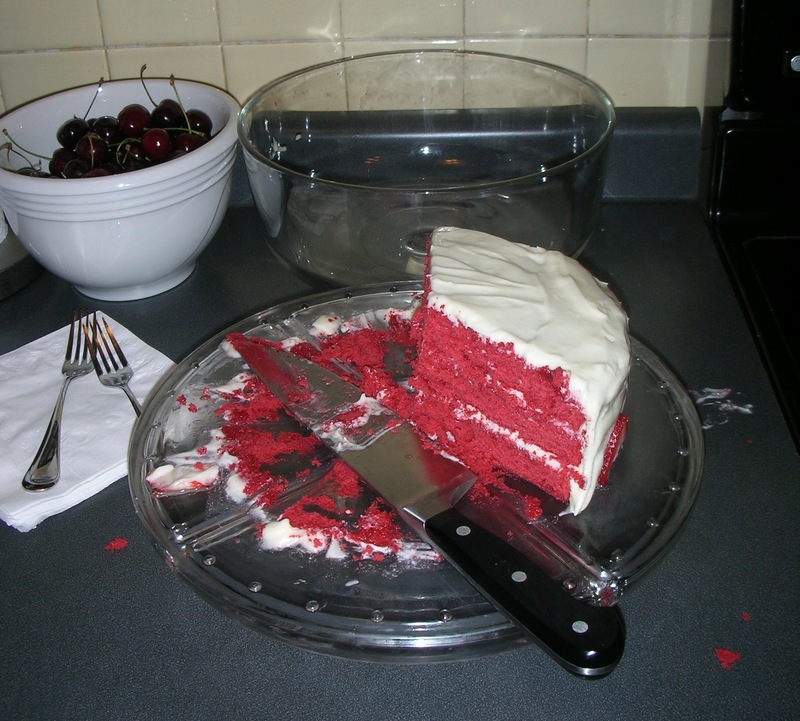 Red Velvet Secret #3 = The cake may actually have been invented at the Waldorf Astoria in NEW YORK CITY. <gasp!> No one knows the source…but the debate continues across the Mason Dixon. UNFORSEEN BONUS: The question of “what makes red velvet cake red” was finally answered. And no, I’m not the only one who wondered…I had a handful of people ask me. Not sure what we were all expecting….raspberry? All in all, it was a lovely cake for a lovely birthday girl. And what’s better than that?? This entry was posted in 30 Before 30 and tagged cake, cooking, red velvet, turning 30. Bookmark the permalink. 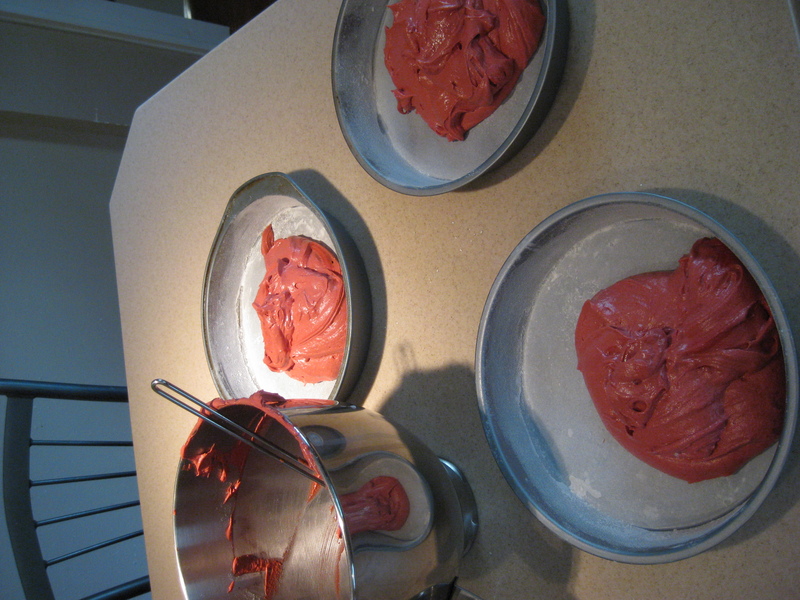 I think the nicer way to go with red velvet is adding beet powder/juice/puree, it supposedly reacts with the alkaline ingredients of the mixture and turns it dark red. Plus, you don’t have to add vinegar, which I still find weird. THAT was a dopey comment….sheeesh!!! YEAH!! whats that bit about THE SOUTH? ///THE NORTH?